The tech world is in the grip of smartwatch season at the moment and each of the big brands are rumoured to be bringing out their own models. Sony has already given us the Sony Smartwatch 2 and whisperings of an Apple iWatch is what started all this off in the first place. However, there's one company we can always rely on to jump in where new technology is concerned: Samsung. 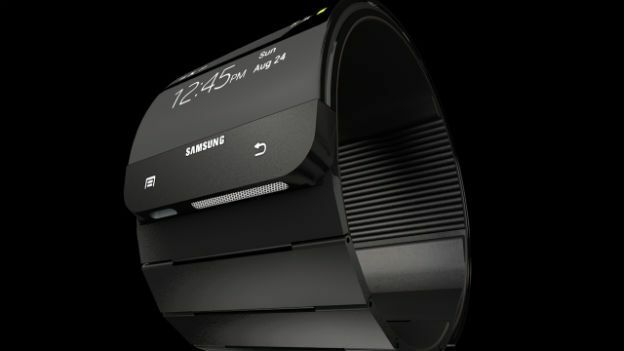 The South Korean giant has been at the center of smartwatch rumours recently and the suggestion is that the forthcoming Samsung Galaxy Gear will be revealed on September 4th at this year's IFA conference in Berlin. We decided that September 4th was just too long to wait, so we've been busy putting together our own 3D render of what we reckon the Galaxy Gear will look like. Cast your eyes downwards to watch our Samsung Galaxy Gear concept video, and don't forget to check out the other 3D renders we've put together over on our YouTube channel.